We do our best to share what we know about Language Engineering. On our blog you can find hundreds of articles. We took all the feedback and questions we received, to create products to teach how to best work in a more organized way. 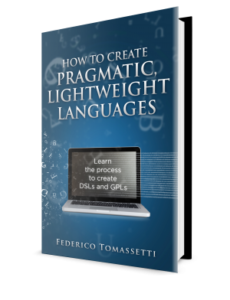 This book will teach you all you need to know to create your own programming languages and Domain Specific Languages.